We understand every child is unique and grows at their own pace. We nuture their strengths and encourage their growth. To ensure the health, safety and well-being of each child in our care while also creating a loving environment to learn and grow. Our trained and qualified staff teach through a theme-related, goal-oriented program. We provide each child the opportunity to develop intellectually, socially, creatively and independentaly. We also work on positive self image, courteous behavior, and respect for one another. If you are interested in knowing more, please contact us, we would love to further discuss our curriculum, goals and programs with you. Social: Your children will learn to communicate with others both verbally and nonverbally. They will make new friends and gain the confidence, self-esteem, and skill needed to develop healthy relationships. Emotional: Children enjoy a safe, nurturing home like environment where they can learn to express themselves and identify their own unique traits. Your child will gain the confidence to develop trusting relationships, understand their own individuality, and enjoy just being their self. Physical: We emphasize the physical health and well-being of your children so they grow up strong and safe. Motor-skill development, mobility, coordination, and exercise all ensure your growing child has a healthy body for a lifetime Karate, Dance, Gymnastics, Swimming, T-ball are also offered. 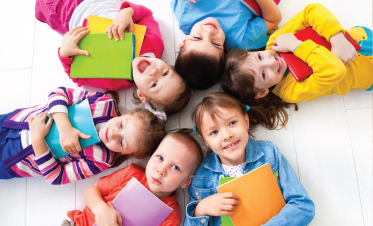 Intellectual: Our early childhood program helps build brain power by supporting the development of memory, perception, judgment, reasoning, critical thinking, and language through developmentally appropriate activities. Children learn reading, writing, and math concepts through play, example and by experiencing the environment around them. Our commitment to early learning and education begins in our infant program. Young children learn through play. We understand that very young children require an environment that is especially responsive to individual needs. Our loving teachers respond with kind words, warm smiles, and gentle touches to assure your child receives optimum care, and opportunities for development. Our Wobbler classroom is a busy, happy place where children can learn, explore, sing and dance while developing friendships and self-esteem in a safe and nurturing environment. We believe that children learn best through hands-on experiences. Our teachers create opportunities for children to experience literacy, language, sensory and cognitive development. Each day is filled with fun activities that excite and help Wobblers develop ways that give them the comfort and confidence to grow and develop cognitively and socially. Our preschool classes help children make new discoveries daily. As they begin to express their independence, our program introduces them to a world of learning, sharing, and exploring. As preschools gain more self-esteem our program enhances that confidence by providing activities to help children become problem solvers and develop a love of lifelong learning. Through independent exploration, structured activities, and hands on learning, children develop a variety of skills and knowledge in areas of literacy, mathematics, science, movement and social skills. In our Pre-Kindergarten / Kindergarten class children are learning to make connections between what they know and what they are learning. They are learning to participate in routines, demonstrate the ability to make decisions, and plan ahead. They are involved in a curriculum that encourages beginning reading, language arts, mathematics, science, social studies and physical fitness. We help each student develop confidence and self-esteem so that they can problem-solve and enjoy a life of learning. Our School age program provides a happy, club-like atmosphere where children grow in all learning domains. We take into account each school-age childâ€™s desire to form lasting friendships and to explore theme-related topics of interest. We work on homework so you have time to enjoy your children and review what they have done when you get home. Our summer program reviews and enhances the educational concepts they have learned during the school year as well as keeps them involved in physical fitness and extra-curricular activities. We have recently enrolled in the â€œLetâ€™s Moveâ€ program supported by Michelle Obama. This program encourages physical, nutritional and mental fitness. Our fitness and health Curriculum incorporates exercise and fitness activities such as aerobics, dance, sports, gross motor skills, and balance. Children build motor skills, learn about physical fitness, and lay the foundation for an active, healthy lifestyle. Teachers also help develop self-esteem and positive associations with exercise, healthy eating and rest. Contact us to learn more, we would love to further discuss our curriculum, goals and programs with you.